Learn more about how our services can help you and find answers to many frequently asked questions. Physical Therapists are experts at evaluation and treatment of musculoskeletal dysfunction. We are specifically trained to improve strength, balance, mobility, function, and relieve pain. We help a person recover from an injury, surgery, and aid in the recovery from a disease process or illness. 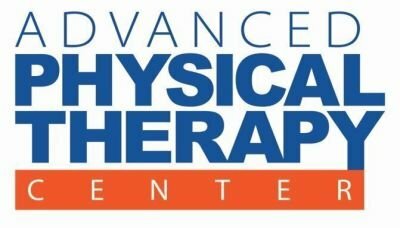 At Advanced Physical Therapy Center, we use joint and soft tissue mobilization techniques, dry needling, and the right exercise program to improve your condition. All visits are provided by highly skilled licensed physical therapists. Should I ask my Doctor to refer me if I think I may need therapy? Definitely. If you have a problem that could be helped by physical therapy ask your doctor for a referral. You are also free to choose which physical therapist to receive treatment from. In NC, you are allowed to see a Physical Therapist without a physician's referral. Although direct access to physical therapy is available, many insurance companies including Medicare require a referral. This referral may come from an MD, Physician Assistant, Clinical Nurse Specialist or Nurse Practitioner. It’s best if you check with your insurance company to determine whether or not you are required to have a referral for coverage. The first visit will consist of your physical therapist performing a detailed (thorough) evaluation of the problem. This includes a history, strength and flexibility tests and measurements, postural and movement analysis and palpation to determine muscular and joint involvement. Ongoing assessment of these problems continue throughout your treatment. Following the evaluation, these findings are discussed with you and a treatment plan is developed to reach your goals. At that point, treatment is initiated. All of your treatment is provided by highly skilled licensed physical therapists. At every visit, wearing loose comfortable clothing is ideal for doing exercises. Treatment will consist of a variety of hands-on joint and soft tissue treatment techniques, dry needling, and specific exercises for your condition. The goal is to restore function and relieve pain. You will be prescribed a condition specific home exercise program and educated in ways to speed recovery and prevent re-injury. Plan on the first session lasting about 1 -1 ½ hours. Each subsequent visit will last 45 min. to 1 hour. Ideally, as early as possible. This will help prevent the problem (dysfunction) from becoming chronic and prevent future problems. This can also decrease the length of time you may require treatment. Anytime you have a problem that keeps you from participating in activities or performing functions you are accustomed to, you might benefit from seeing a physical therapist. Learn about our Financial Policy in advance of your visit. You can save time by printing out our New Patient Forms in advance at your convenience. Bring them with you on your first visit.